Bridges Academic Center of Excellence has partnered with the CSU system to offer the Summer Algebra Institute (SAI) and a year-round mathematics program in our Institute of Mathematics. SAI is a six week, intensive but fun course that is designed to improve the student’s mathematics skills. The year-round mathematics program is a monthly 3-hour curriculum that covers algebra I and algebra II. This program begins September 2016 and will be held on the third Saturday of each month. Our programs are facilitated by certified math instructors and are designed for Middle and High School students who would like to leap ahead of the math learning curve. The primary goal is to enable and empower students to succeed in mathematics and related subjects. 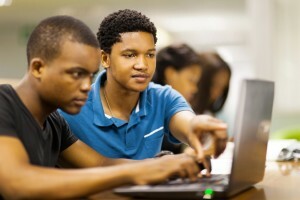 Our ultimate goal is for students to enroll in higher education immediately after high school graduation. 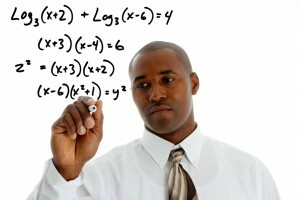 Algebra is considered to be the gateway course as it relates to college admission and successful completion. Thus, our programs focus on academic content, study skills and college exposure through campus field trips. Additionally, these programs include a college preparation component that consists of academic counseling and exposure to math-based careers and opportunities in higher education.